Take the mystery out of food. Find out which foods are more likely to cause problems such as pain and bloating and which foods you can eat without worry. AIRE, by FoodMarble, allows you to learn more about the way your body reacts to the foods you eat. 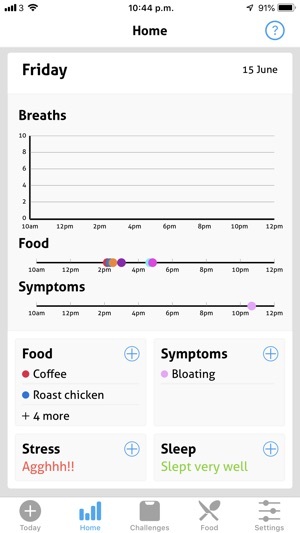 You can use this app on its own to log your diet and track your digestive symptoms throughout the day, as well as to rate your sleep quality and stress levels. You can also connect to a FoodMarble AIRE breath analyzer, the world’s first personal, portable hydrogen breath analyzer, to track your gut fermentation levels throughout the day. TRACK YOUR FERMENTATION LEVELS. There are billions of bacteria living in your digestive tract in what is known as the gut microbiome. The bacteria living there digest the food you eat in a process called fermentation. Fermentation is not necessarily a bad thing, but studies show that symptoms such as bloating, cramping, diarrhea and constipation can correlate to high levels of fermentation in the gut. By connecting to a FoodMarble AIRE hydrogen breath analyzer, you can monitor your fermentation levels throughout the day. Track your Fermentation Scores on a 0-100 scale. Record your Fermentation Scores after you eat various foods. See which foods cause higher and lower fermentation rates and which foods, sleep and stress levels correlate to better and worse symptoms for you. LOG YOUR FOODS. Log the foods you eat throughout the day. You simply take a picture of the food you eat, add some text, and AIRE records the date and time. RECORD YOUR SYMPTOMS. Track the digestive symptoms you experience throughout the day. Keep track of when you’re feeling well or having symptoms such a pain, bloating or cramps. MONITOR YOUR SLEEP. In order to live a healthy life, it is important to have proper sleep habits. With AIRE, you can keep track of how you have been sleeping to see if there is a pattern with your symptoms. RATE YOUR STRESS LEVEL. Stress can play a role in our digestive system and the symptoms we experience. 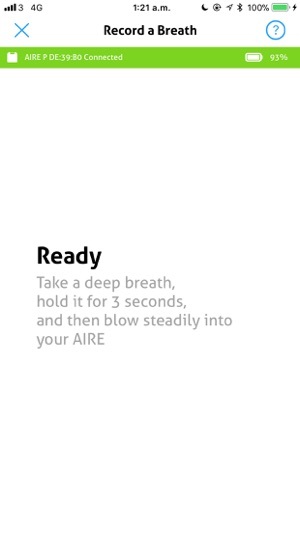 AIRE allows you to grade your daily stress levels. 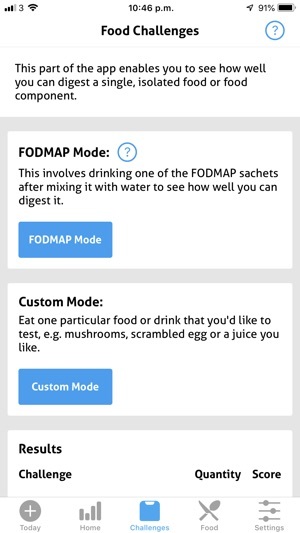 TEST YOURSELF AGAINST FODMAPs. “FODMAPs” are natural ingredients found in nearly every food we eat. Many healthy fruits, vegetables, grains and dairy products contain FODMAPs. For some people, certain FODMAPs cause digestive problems such as abdominal pain or bloating. With FoodMarble’s AIRE breath analyzer, you can test yourself against different FODMAPs to find out how your body reacts to these ingredients. FODMAP FOOD DATABASE. 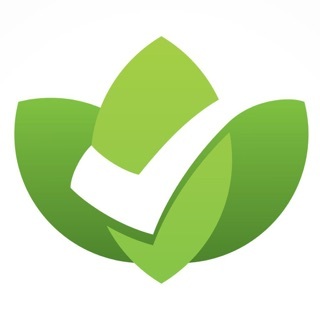 FoodMarble’s food database indicates which foods are high and low in FODMAPs. 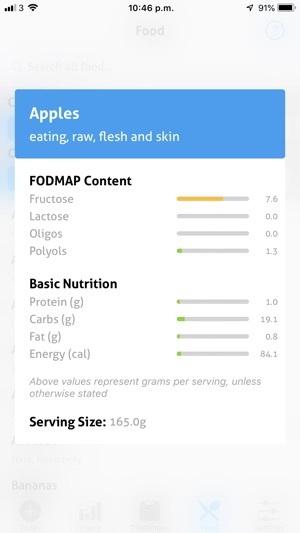 After each FODMAP test, the food database will take account of your results, to show you which FODMAP-containing foods, you may be able to tolerate. SET REMINDERS. Set reminders to take breath readings, or to log food, stress or sleep. CUSTOMER SUPPORT. You can contact FoodMarble instantly through the app at any time by clicking on the “Contact Support” link in the Settings tab. Bug fixes and improvements to firmware update process. No new features implemented in this release. This device & app is a godsend when it works. For serious IBS sufferers like me it’s a terrific way to get lots of useful data on what parts of your diet are problematic. Enter your food, test every hour or two, and you can get a very clear indication of what isn’t working in your diet. The problem is that the hardware unit seems fragile. My first unit only lasted two weeks. The company replaced it, which was terrific, but now my second unit is failing again after about the same amount of time. I’ve studiously avoided the contaminants they identify and have tried to be extremely careful, but it just seems like it’s very fragile. I may actually just buy another one because it is extraordinarily useful. But a two week MTBF obviously isn’t great. I am enjoying the app and so happy to finally have my device. Both are working well. First thing I've noticed the app needs, a way to view your entered stats/info in a graph or some view which covers a period of time or all of your data. This way you can easily see trends. Also, a huge feature I'd love to have is to export all my data so I can give to my gastro doctor. Especially with the food logging as my doctor is always asking me for a food diary with symptoms. Dying for this feature to get added. Great start but please try to add these two features. Waited 8 months for this and that’s it?? I’ve been eagerly waiting for my devise since April. I’ve pestered customer service many times throughout the 8 months to give me an update on shipping. I’ve scrolled past countless ads on Facebook by this company, claiming how revolutionary this product is. Well I finally get it in the mail, excitedly rip it open, only to discover...that’s it?? All it does is measure whatever perceived “gasses” are on your breath and gives you a score. That’s it. It doesn’t tell you what that means, it doesn’t give you specific details about the score or what the “gasses” even pertain to. What’s worse is that I’ve had my usual every day digestive issues and this thing often just gives me a zero every time. Like how is that helpful?! I honestly want my money back. This is like a toy. Hi, I'm really sorry to hear that you've had a bad experience so far. It sounds like there may be a problem with your device if you are just getting zeroes. We'll be able to help figure out if that's the case if you contact support on hello@foodmarble.com. The app is constantly in development and in fact there is a big update that we are hoping to release soon. We are a small team, so it can take longer than expected sometimes. © 2019 FoodMarble Digestive Health Ltd.